Spring is just around the corner and we have some fantastic additions blossoming at the inn, including a great new addition to our name! Owners, Eric Goldreyer and John Banczak, and the IAOC staff have been focusing all their efforts towards making the Inn Above Onion Creek the best that it can be. With a new expanded spa, remodeled and upgraded rooms, a fire pit, a new pool deck and hot tub, a bocce ball and horseshoe court, added room amenities and expanded environmentally-conscious practices, the Inn is the best it has ever been! The owners have made the decision to add "Sage Hill" in front of the well-known "Inn Above Onion Creek" name to "reflect the refurbished property’s increased focus on dining and ecological responsibility." 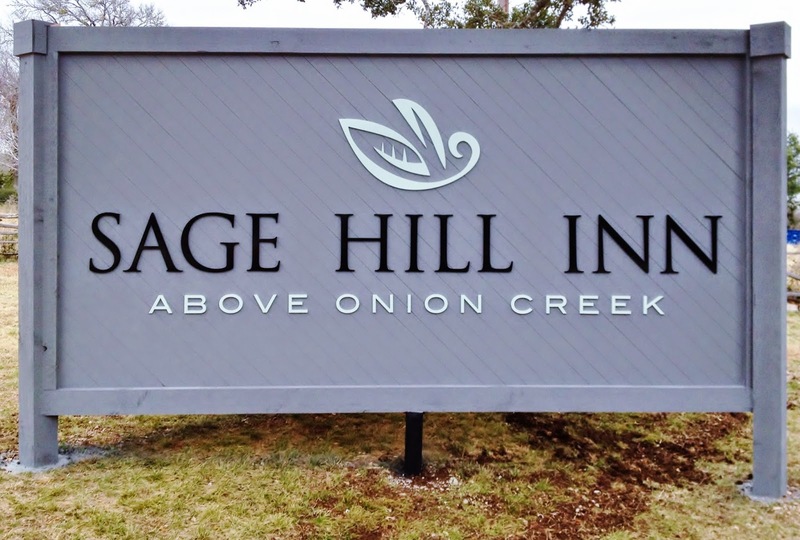 You can read more about Sage Hill Inn Above Onion Creek's name change and recent additions here. While the Inn may have changed its name and added a few new features, it a clear goal of ours, as Inn Above Onion Creek staff, to maintain the attention, care and friendliness that is trademark to the Inn and to make sure to continue the traditions that make the Inn your home away from home. And, as always, please feel free to contact us with any questions or concerns you might have-- we're here to make this transition as pleasant and exciting as possible.